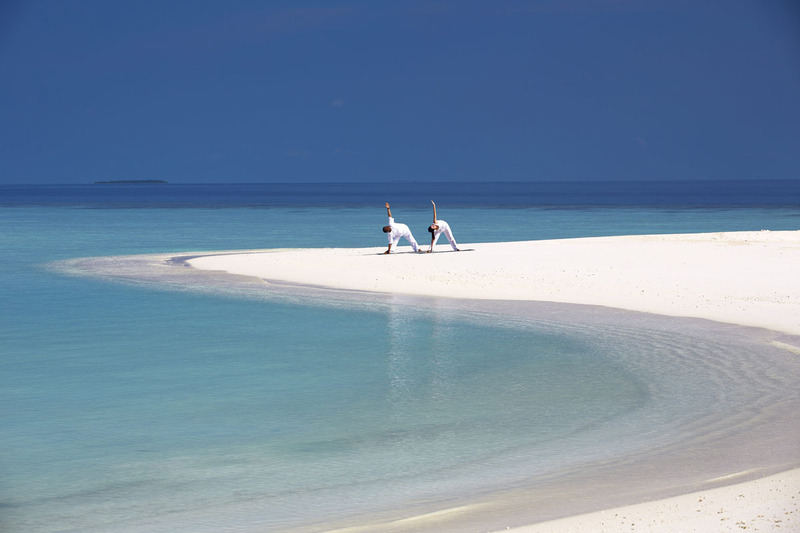 Exotic island retreat – Spa and yoga experience. 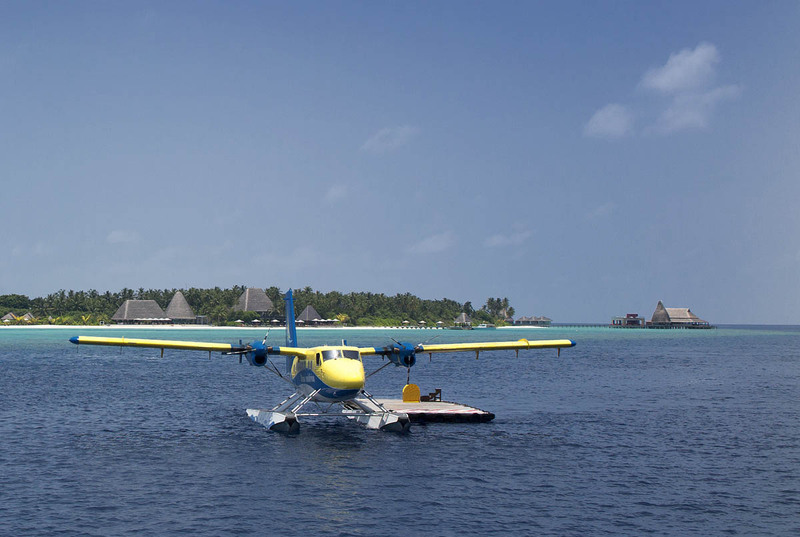 This luxurious Spa and yoga experience in the beautiful Maldives impresses right from the start as you arrive via a short scenic seaplane flight from Malè International Airport. 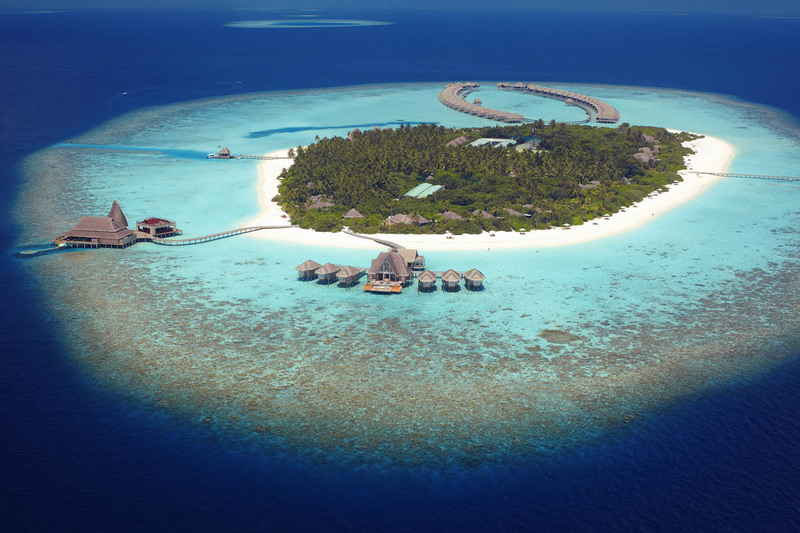 Situated on the west of the Maldives’ atoll chain, Baa Atoll is made up of 75 tropical islands, of which only 13 are inhabited. 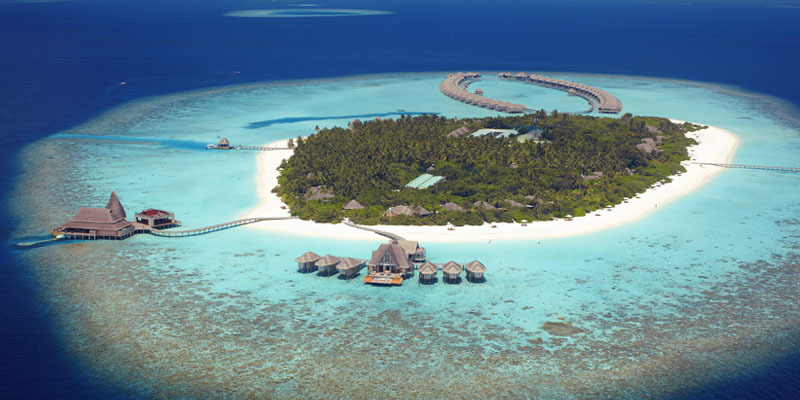 This tranquil, 5-star resort is perfect for a luxury getaway, choose to stay in a beach pool villa set right on the beach or one that perches dramatically over the water and explore the crystal-clear lagoon and beautiful nearby coral reefs. 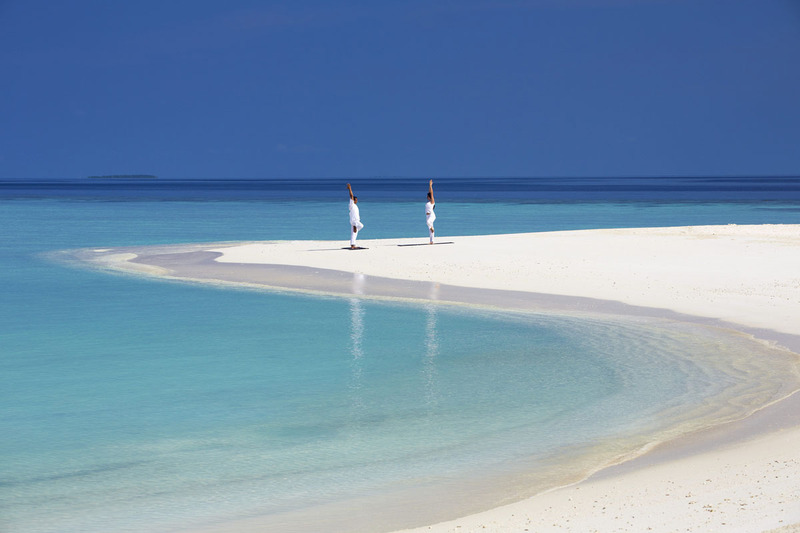 There are many easy ways to enhance your stay, imagine taking a private cruise on a luxury yacht, or enjoying dinner on your own sandbank. 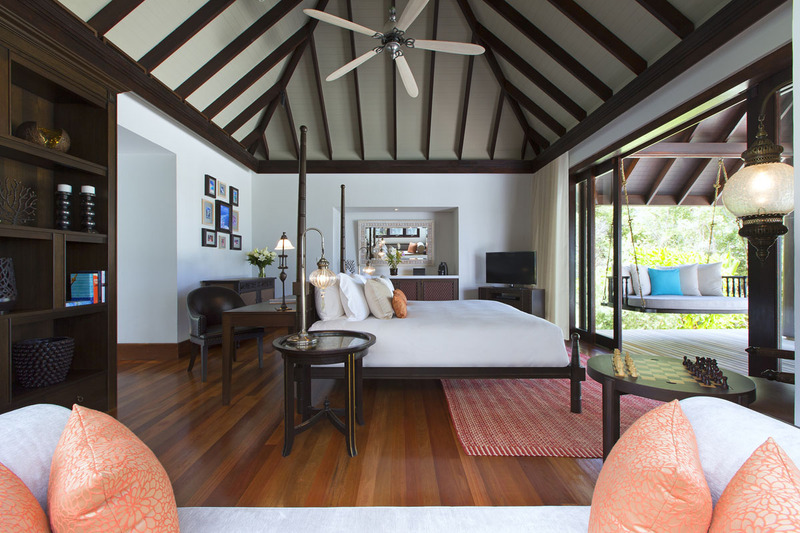 All our villas are beautifully appointed in elegant wood with Thai silks in rich, earthy colours and enjoy a stunning view of the sun-rise over the endless, sparkling waters. 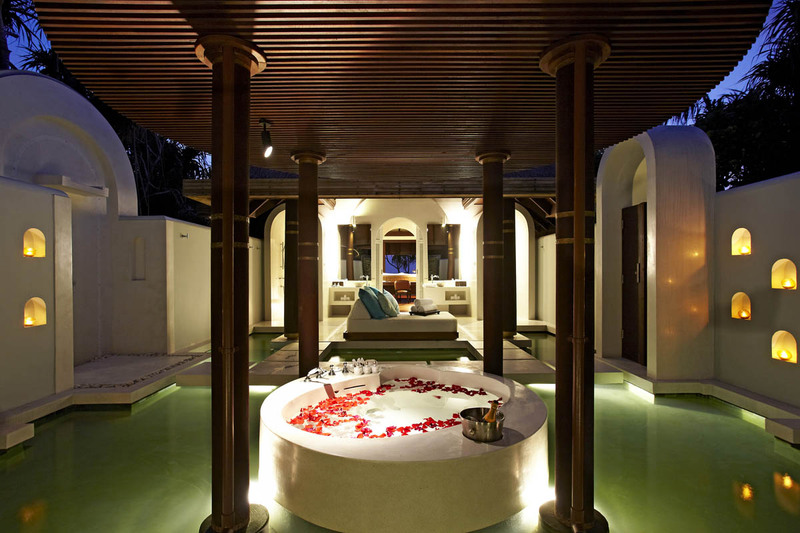 Your bathroom is open to the amazing azure sky and has an indulgent sunken bath made for two. Each villa is equipped with the latest in luxury fixtures including a Bose sound system with iPod docking, wine chiller and espresso machine. After spending the day soaking up the sun on a lounger hovering over your own infinity pool, you’ll be ready to sail into a great night’s sleep aboard an oversized bed dressed in Egyptian cotton with a pillow selected from our luxurious ‘bedding by design’ menu. 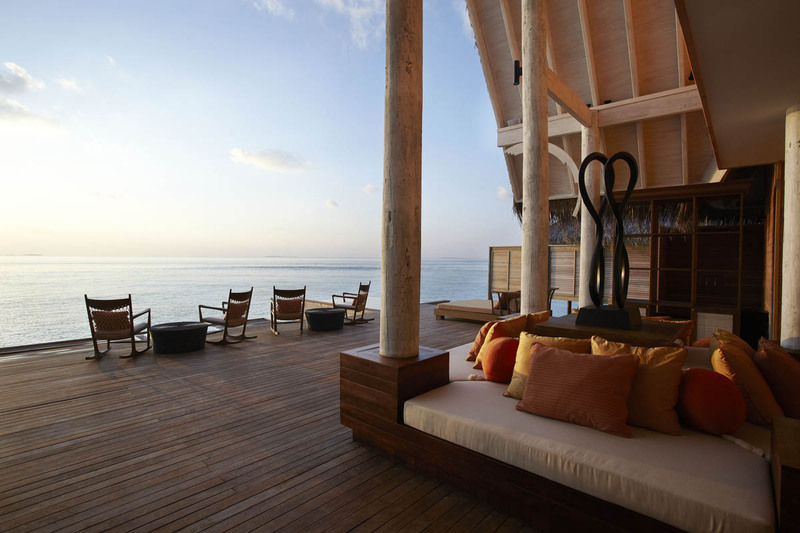 Our six, over-water treatment suites are situated across a small jetty from your villa and our aim is to help you experience sublime relaxation through the seven day journey. This is an indulgent 780 minutes of massage treatments ranging from Thai, herbal-compress techniques to Swedish, deep-tissue massage. Draw inspiration from the beauty of your island surroundings and rediscover your inner harmony with gentle guided meditation sessions. Join one of our daily yoga groups or perfect your poses with private tuition. 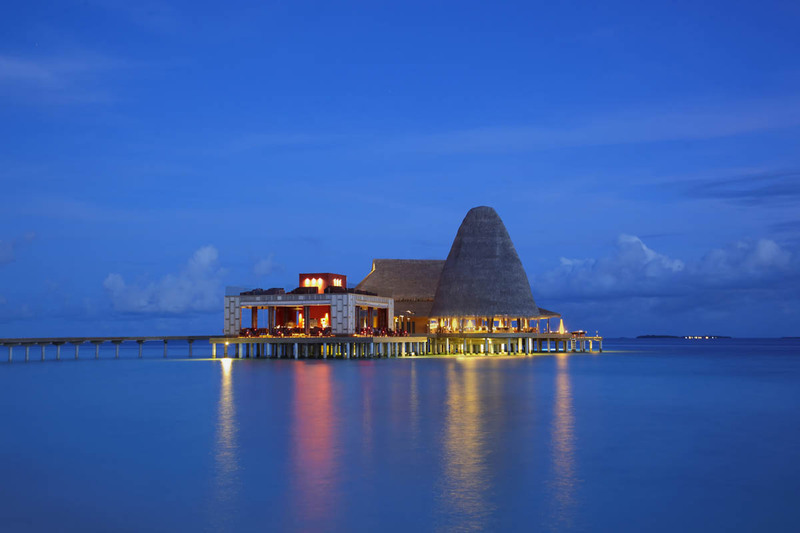 We pride ourselves on offering many unparalleled dining experiences, our world-class cuisine can be enjoyed underwater whilst watching colourful shoals darting through the perfect blue ocean, on the beach with the hues of a Maldivian sunset reflected in your cocktails or in the privacy of your villa. 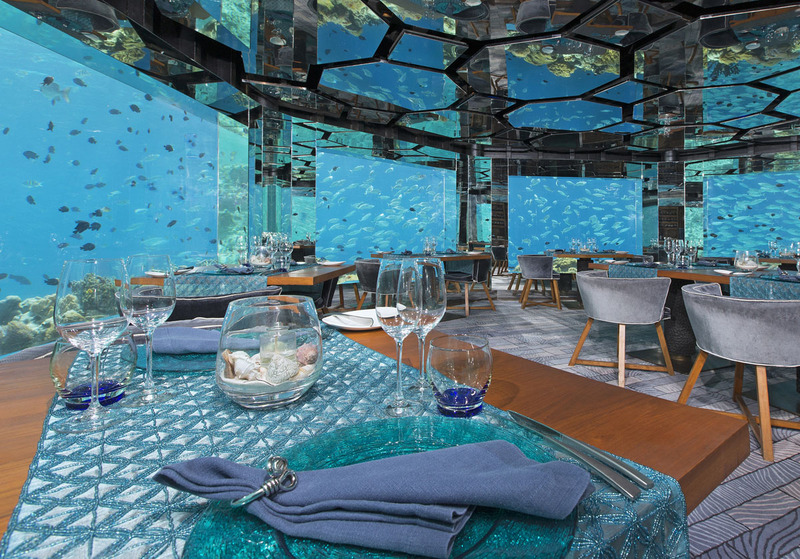 Sea – Experience one of the few underwater wine cellars and restaurants in the world, where degustation menus are paired with premium Old and New World wines by our resident sommelier. Fire – Sample the catch-of-the-day or melt-in-the-mouth, grain-fed, Japanese beef prepared in our sizzling teppanyaki lounge. Salt – Prepare to be wowed by our Salt Sommelier’s knowledge of seasoning. Enhance your gastronomic road map with Asian-inspired, red snapper or tender lamb all cooked to perfection on a Himalayan salt block. 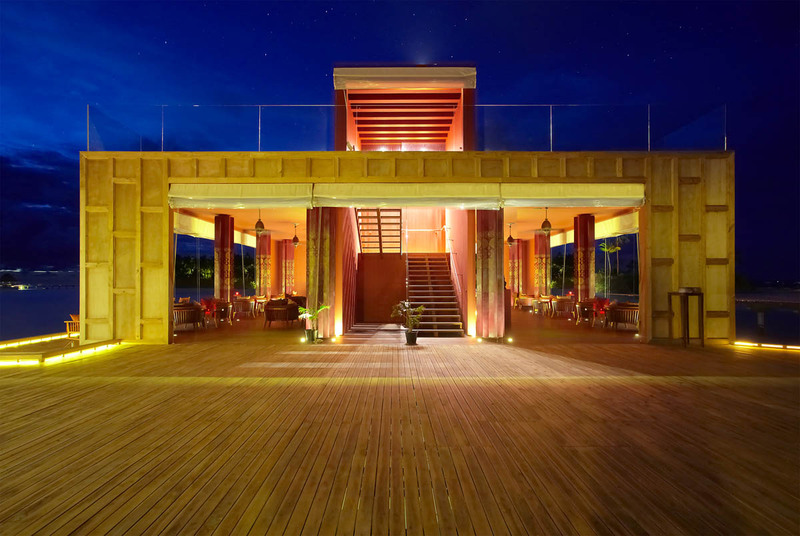 Sky – Enjoy light bites, cool beers and wines in the afternoon or join us as the evening unfolds on our mellow rooftop bar for a selection of tropical cocktails and liqueurs. 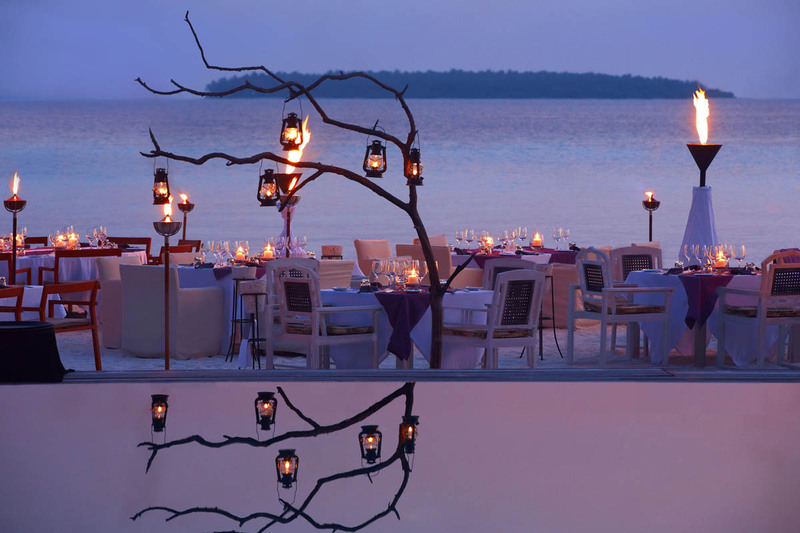 Plates – Start the day with a refreshing breakfast overlooking the ocean and choose to return in the evening for a romantic candlelit dinner, savouring a tantalising beach barbecue showcasing our amazing Maldivian seafood. 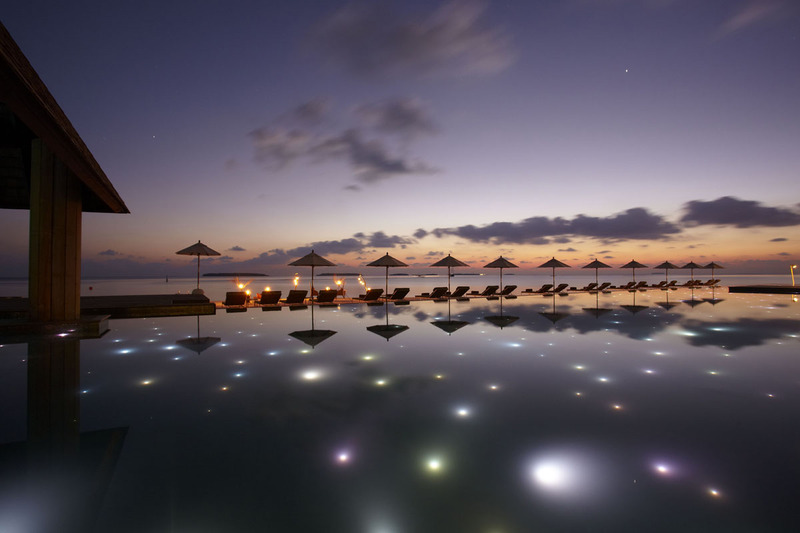 Pool bar and restaurant – Relax in the sun at one of the longest pools in the Maldives, with attentive Sunshine Butlers serving you an array of exotic juices, Mediterranean salads and fresh pastas. After dark join us for a lively evening of finest Italian fare. Dining by Design – Indulge in the ultimate romantic dining experience: after the sun has set prepare to savour dishes designed and cooked by your own personal chef and served on a private sandbank, the deck of a luxury yacht or anywhere of your choosing. String up the nets and break out the sun lotion and join in with a full range of beach sports and activities. Feel the sand between your toes as you ground the perfect spike in a beach volleyball tournament or knock a winning birdie over the badminton net. 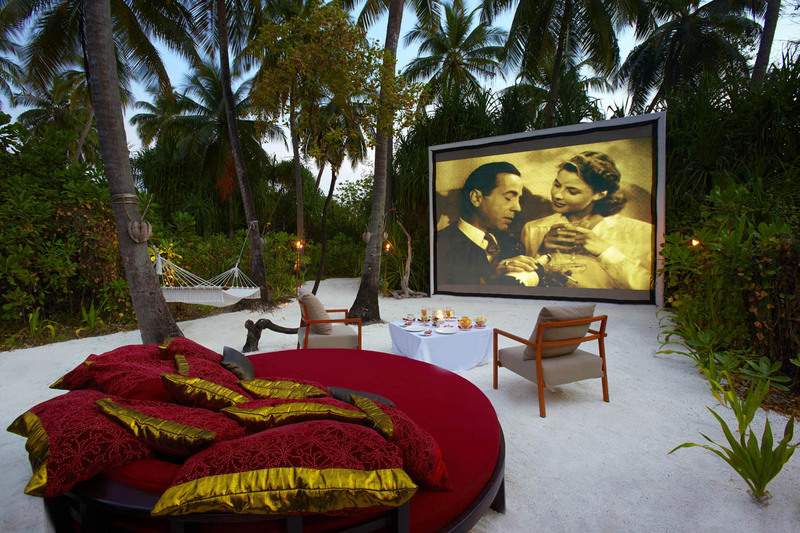 Or try something more leisurely, why not bowl a set of pétanque or challenge your partner to a table tennis match? Whether you’re eager to learn the secrets of the traditional Maldivian huni havaadhu curry or to grill the fresh tuna you caught this afternoon, the professional chefs at Plates will be pleased to take you under their wings and reveal a few or their kitchen tips and secrets. Just let us know what piques your culinary curiosity and our chefs will design a cooking lesson suited to your tastes. With treadmills, free weights, bicycles and other strength-training and cardio equipment, you don’t need to let your fitness routine slip just because you’re on holiday. Cast it out and reel it on in – you’ve probably been fishing before, but never in a setting like this. 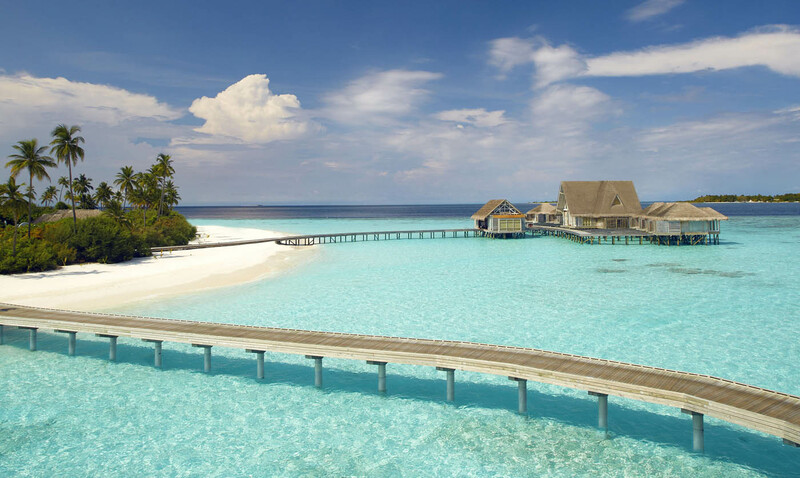 Take a half-day excursion on our speedboat to reap the bounty of the plentiful Indian Ocean. Our expert guides will show you how to reel in some of the sea’s thriving sailfish, wahoo, tuna, mahi mahi or giant trevally. Bring your catch back with you and our chefs will be happy to prepare it as you wish, or teach you how to cook it yourself, for a uniquely do-it-yourself seafood supper. Take a paddle with your partner across the tranquil lagoon and work on your tan as you glide over the waters and explore the island’s shoreline. Make a day of it by bringing a picnic basket and find a secluded spot in the sand for lunch. Enjoy a relaxed morning gliding around the lagoon, or pick up the speed and find a fun new way to get your afternoon workout. Sit-atop kayaks, whether tandem or solo, transparent or solid, are one of the best ways to experience the beauty of our Maldivian paradise at your own pace. Explore secluded beaches and hidden lagoons, or simply drift over the clear blue waters gazing at the marine life teeming below. 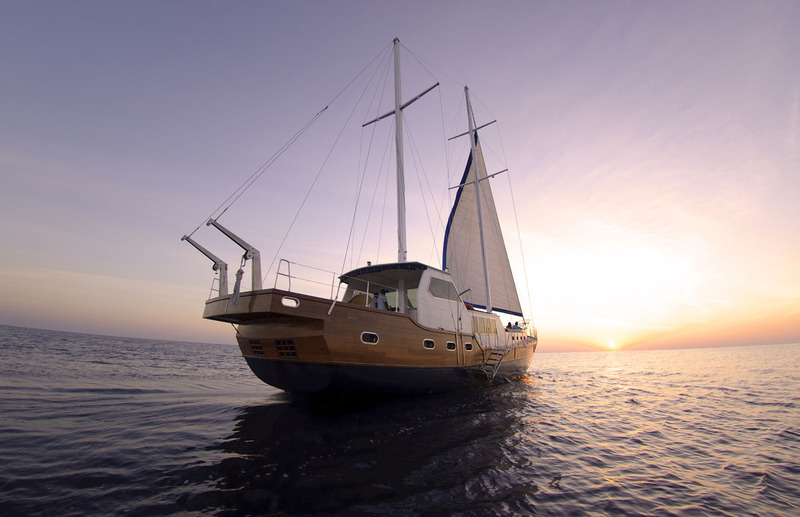 Sailing has long been an integral part of the sea-faring culture of the Maldives. 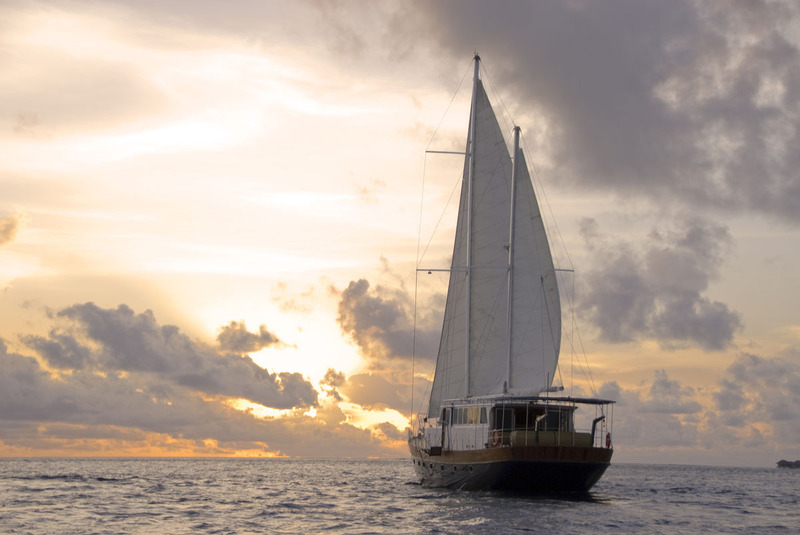 You will be invited to take the once-in-a-lifetime chance to set sail into one of the world’s most stunning marine destinations aboard a graceful catamaran or on-board our private yacht. Whether you are a sea-hardened sailing expert ready to embark on a solo voyage, or a novice landlubber eager to soak up the sights and leave the steering to the skipper, we can customise an excursion suited to your tastes. Play among the manta rays, watch a clownfish darting through his sea anemone or perhaps even spot a whale shark lurking in the shallows. Fins and snorkel are available for up-close encounters with the exotic aquatic life. Our crystal clear waters offer unrivalled opportunities for fish watching. 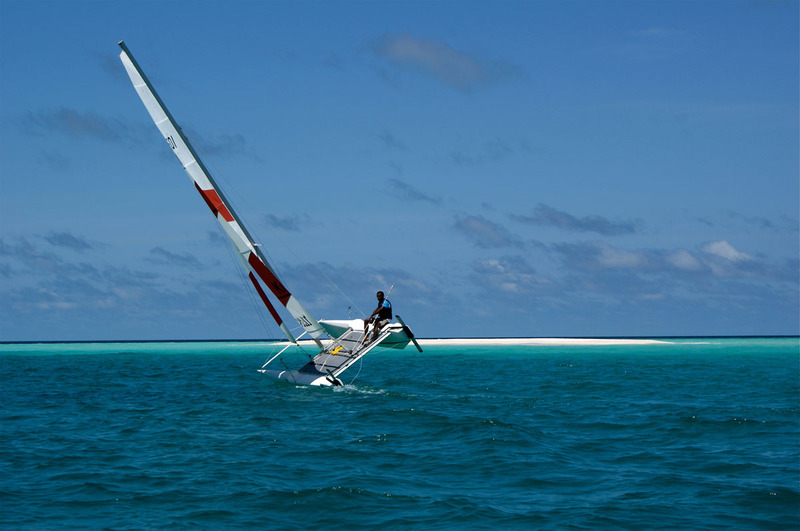 Skip along the glassy ocean surface and feel the breeze whipping through your hair, those in the know describe windsurfing as the closest you can get to flying. 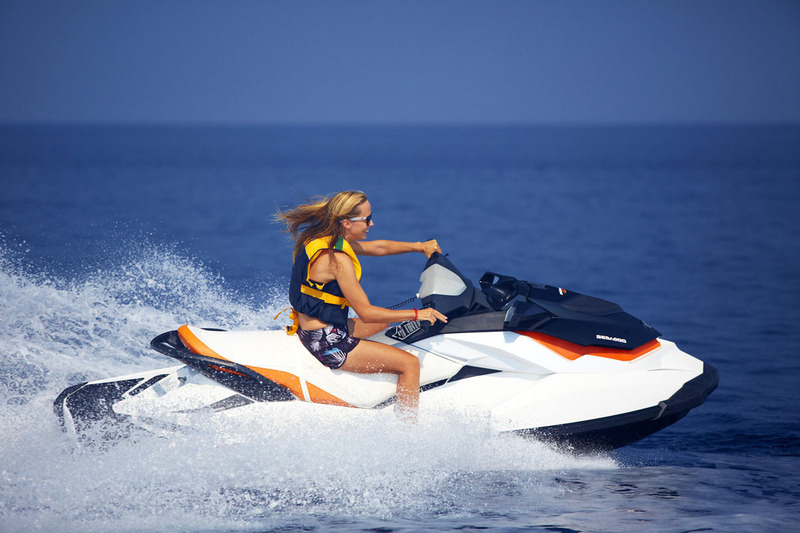 With the power of the wind behind you, and guidance from our expert instructors, you’ll be skimming across the mirror-like surface of the lagoon in no time.